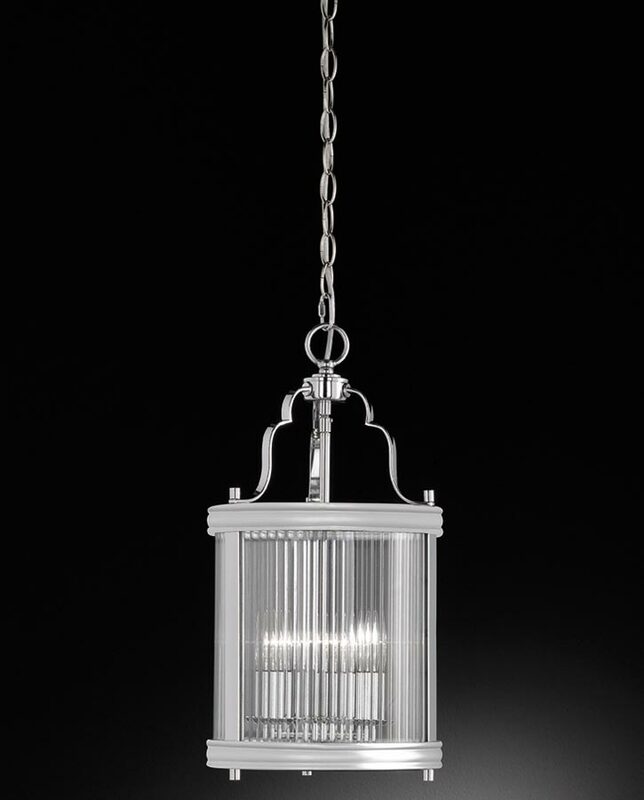 This Franklite Merton 3 light hanging lantern in polished chrome finish with reeded glass panels features a modern twist on the traditional Georgian chain lantern. Circular ceiling mount, chain suspension and circular frame, with intricate over-arching scrolled arms that attach to the chrome chain suspension. The top and bottom frame parts are joined with vertical panels infilled with curved reeded glass panels that diffuses the light from the internal candelabra beautifully. This is a modern incarnation of a classically styled Georgian ceiling lantern with outstanding quality and attention to detail. It complements a modern, traditional or period style home and is perfect for any room, stairwell, hallway and landing or anywhere with sufficient ceiling height. Part of the Merton lantern lighting range that includes two semi-flush ceiling lights and four and eight-light hanging lanterns in polished chrome that can be viewed below. This light is supplied by Franklite Lighting who have been one of the pioneers in the design, manufacture and distribution of high quality lighting such as the Merton 3 light hanging lantern in polished chrome finish with reeded glass panels you see here.